Combining multiple subjects into one project saves the students a lot of time. It is also a nice change from the way things are usually done. Instead of consolidating every subject to their own projects and exams, all of them are intertwined in a magazine. It gives students hands on experience for using knowledge and tools in real world scenarios. Enlist the help of your colleagues to create a project that combines different subjects into project. The magazine project can be graded for all the chosen subjects. This removes a great deal of the workload not only for students, but for teachers as well. 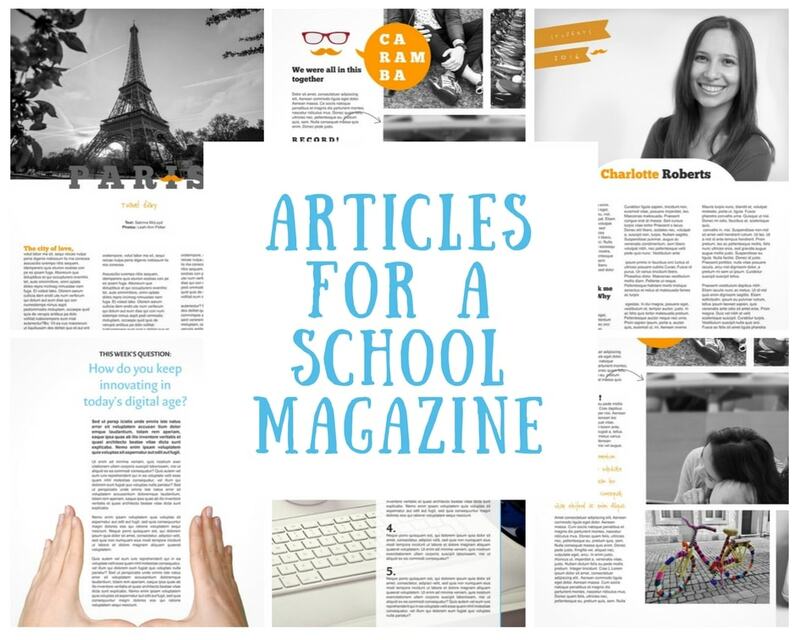 Teachers: Instead having to prepare various exams and project by yourself, you can work together with your colleagues to create one magazine project that can be handed in and graded for multiple subjects. 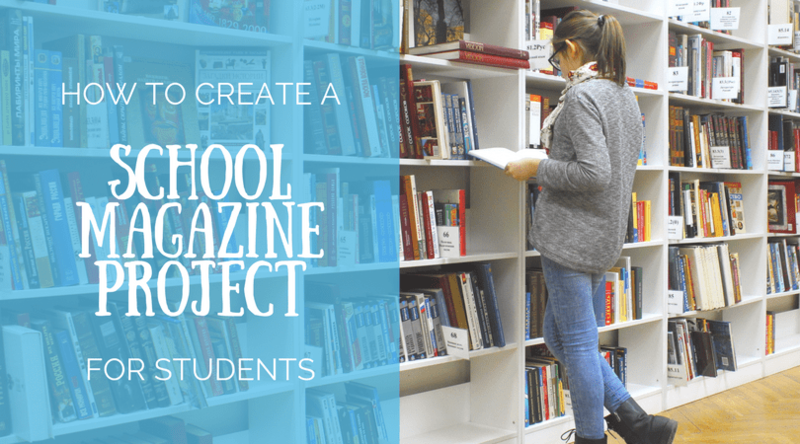 Students: Instead of having to prepare various projects and study for different exams, students can create one magazine that combines all of the knowledge and tools they need. Plus, it gives them a look at how these subjects interact, instead of keeping it all separate. Create a step-by-step guide book containing all the information the students will need to complete the project. The students will use it to complete exercises for each subject as well as learn to plan accordingly. It is also useful to add a seperate guide with step-by-step instructions on how to use Jilster. Try the editor out first and then, based on your own experiences, write out the do’s and dont’s for students. You can also create some example pages and let the students copy these to their own magazine pages. Students may also take inspiration from magazines in stores or magazines they have at home. They can bring them into class and exchange ideas. 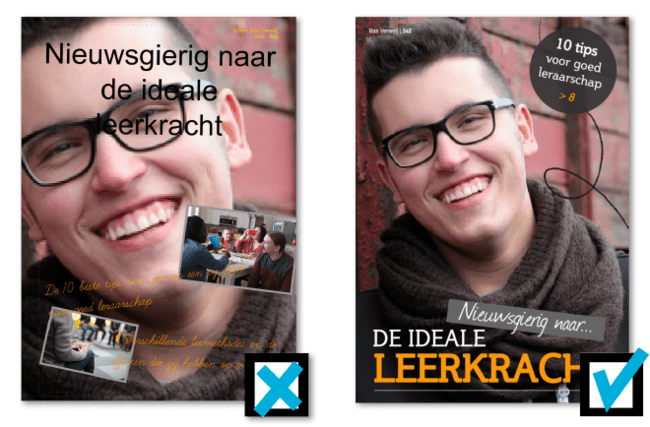 One school that has already implemented the magazine project had the magazine graded on content for History, spelling and grammar for Dutch, and design and creativity for Art: One magazine to rule them all. Below are just a few ideas and inspiration for various assignments and exercises that students can complete for a magazine project. Make the project into a competition. The three best magazines can then be printed and displayed at the school and/or during a special event when the project is completed. Having a competitive element in the project improves student performance. The magazines can then also be used as promotional tools during Open Days when prospective students come in to visit the school. Take your time with this project. It will take longer than you think. Go to the government website of your country. Choose a topic that seems interesting and browse the government plans, news and documents related to that topic until you find an article that you want to write about. To start your article for school magazine begin by writing down, in your own words, your understanding of the article. Then answer the following questions: Why did you choose this article? What is your opinion on the topic in the article. Do you think it’s good or bad? Explain why. Go to Google Trends and select your country, or a country you find interesting. You could also filter by categories you find interesting. Find a trending topic and use this for your article for a school magazine. Find a topic and write down, in your own words, what you think of this topic. How does it relate to how things were in the past? Why do you think this topic is trending now? Do you think this topic will be tending for a long time? Always give a reason why along with your opinion. Social issues like dating, religion, diversity etc. You can start this article for a school magazine before doing any research. First write down, in your own words, what you think of when you think of the above social issues. What do you know about dating? What do you know about religion? What do you know about diversity? What is your opinion on these social issues? Do you have any personal experiences related to these social issues that you would like to share? If you find it difficult to write about these topics, explain why. This too is valuable information that you could share. Alternatively you could try searching online for ‘dating’ and then write about what comes up. In my case the search results contained a lot of dating sites. This is an interesting topic to write about. What do you think about dating sites? Do you have any personal experience using them? Are they good or bad? Why? Go to your school website and look up your school policy and rules. If your school’s website does not list the policies and rules, or your school doesn’t have a website, ask your teacher where you can find this information. You could also write about why there isn’t a school website or why the school policies and rules are not listed on the website. If you are able to find your school’s policies and rules, choose a specific rule or policy and write down, in your own words, what the policy or rule is. Do you agree with it? Why? How do you think this policy or rule affects the students at your school? Do you think it is a good or bad policy or rule? Why? Pick a class or subject you enjoy and explain what it’s about. Write about what you like about and what you don’t like about it. Is there anything you would change about the class to improve it? Do some research on the subject and find out when you would need the information taught in this class later in life. Are there any specific jobs for which you need this subject? Address the students that will be reading your article. 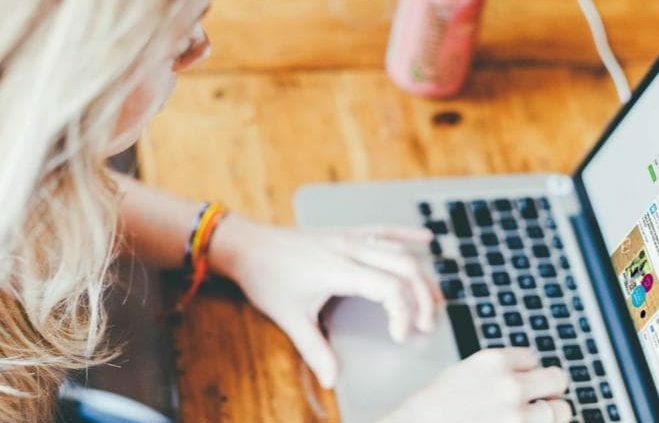 Compile a few tips to make it easier for them to get good grades for the class, or add a fun ‘did you know?’ section to your article about the subject. What makes a good teacher/principal? Imagine if you were a teacher or principal for a day. What do you think a day in their life looks like? You could try to get an appointment with a teacher or the principal and interview them about their job. What are some unexpected things that are also part of their job? What are some things that you would enjoy doing? What are things you wouldn’t enjoy? Is there anything you would do differently if you were to have their job for a day? Do you have any personal experiences with a teacher or the principal? Did you think they did a good job or not? Why? What would you do differently? First write down what you think makes the perfect student. Do you think you are a good student? Why? Do you know anyone else who is a very good student? Why? Do you know anyone who is a very bad student? Why? Interview some of your friends, classmates and teachers to find out what they think makes a good student. 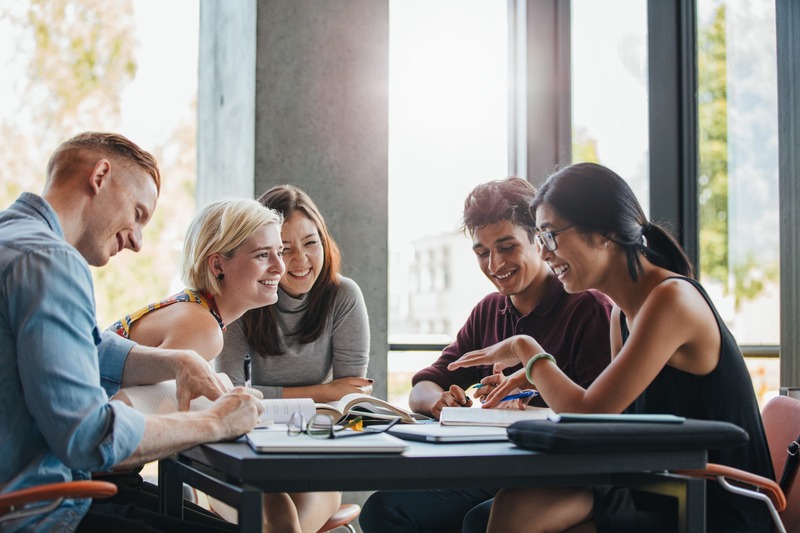 Comparing the results from these interviews can be very interesting, since a teacher may have different opinions on what makes a good student compared to one of your friends or classmates. 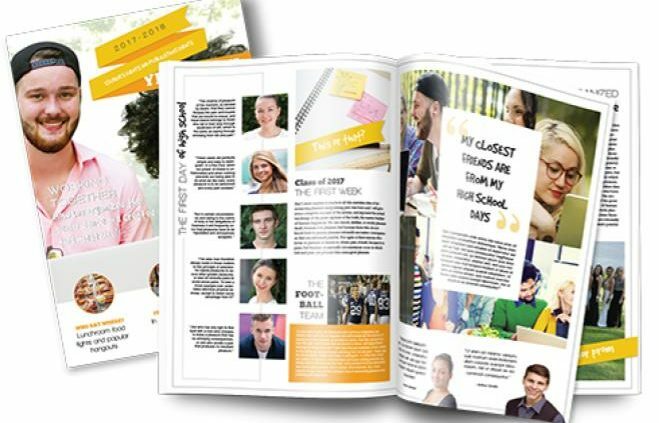 Get started on your school magazine! Log in to (or create) your free account, start your magazine, and click on ‘edit’ on any page. Add a text block to your page (or use a template) and use the tips above to start writing your student article. Invite classmates to edit their own pages and watch as your very own school magazine takes shape! LOGIN AND START YOUR ARTICLE. You may not always realize it, but we all interview each other constantly in order to get to know one another. We ask questions about work, hobbies, opinions and so much more. It’s the quickest and easiest way to find out more about a person or topic. It’s especially useful when the goal is to put it in print! So, how to interview someone about their life? In its simplest form, an interview is two people having a conversation, wherein one person asks questions and the other person answers them. The people, questions, and answers depend on the goal of the interview. Thankfully, interviews are forgiving in that you can personalize them (much like a magazine), and create the right interview for your situation. You can even change them a bit as you’re conducting the interview, in order to get the best information for the purpose of your interview. An interview about someone’s life makes for a great spread (or two, or three!) in your magazine. 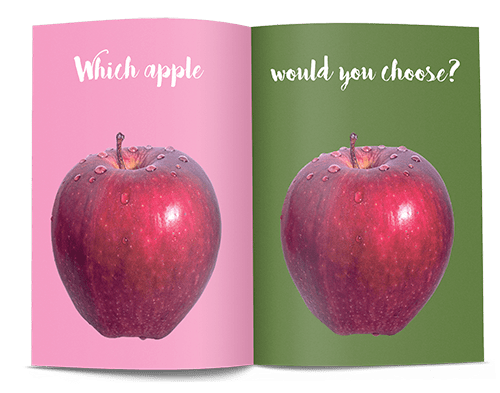 Whether you’re your own birthday magazine, a wedding magazine as a gift or a magazine for school, no matter what the occasion is, odds are you have some questions that need answering. Below you’ll find some example questions and tips you can use to conduct and create an interview in your magazine. 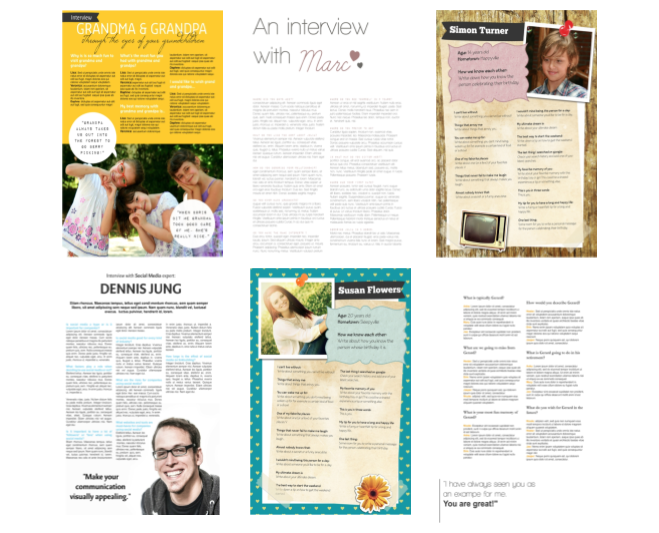 If you’re working on a magazine for your spouse, a good place to start with interviews is, of course, the parents. They’ll know everything there is to know about your significant other, and they’ll be able to provide valuable information that will make the magazine even more unique and heartfelt. However, it’s a good idea to interview more family members, close friends, and colleagues. This will give you the full picture of someone’s life. Bonus tip: Add some more interview pages by sitting down with your children (if you have them), your partners siblings, friends and even colleagues. Invite them out to dinner or coffee and get them all together to talk about this special person you all have in common. How do you know the person that’s celebrating their birthday? What is one thing that is typically them? What is the one thing the birthday person cannot live without? What is something they dislike? What is the first word that comes to mind when you think of them? What message would you like to give them on this special day? So if you’re making a magazine for a wedding or an anniversary, you can of course interview the couple that’s getting married or celebrating the anniversary. If you want to keep the magazine gift a surprise, that might not be the best way to go. In order to keep it a mystery, you can interview close friends, family members and even colleagues. Bonus tip: If you have it, bring a photo you’d like more information about. This allows the person you’re interviewing to tell a fun anecdote that you can add to a page, alongside the photo! What is the secret to their successful relationship/marriage? What do they love doing together? Is there anything you’ve learned from their relationship/marriage? What are some things they have in common? Are they alike at all, or is their relationship a case of ‘opposites attract? Why? Let’s say you want to interview a student or a group about their lives and write an article about them. The questions will largely depend on the student or group, but there are some general questions you can ask to get the ball rolling during the interview. What does a typical day or week look like for you? What’s your most memorable experience at the school so far? What is your favorite thing at school? If you were principal for a day, what would you do? What are their thoughts on some current local or international events? Once you’ve got all the answers, it’s time to add them to a page and create a nice looking format. You can choose one of the many pre-made interview templates available in the editor, or start from scratch and create your own. Bonus tip: Use a simple or transparent background. This ensures that the words will be legible. A background that is too busy or too dark may make the text difficult to read. Alternatively you can place a contrasting color block over the background and adjust the transparency accordingly. Creating personalised adverts is easy and makes for a great page in your magazine. A fun idea for a school magazine, birthday magazine or wedding magazine. We often recommend checking out professionally made magazines for inspiration on what to add to your own magazine. 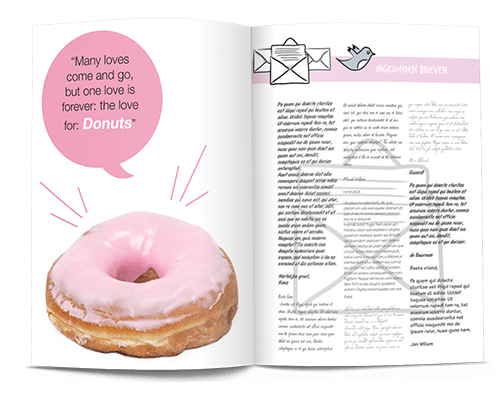 Professionally made magazines have recurring elements like specific kinds of content (sections, features and columns), a certain text to image ratio, and ad pages, to name a few. Personalised adverts are one element you can add to you magazine easily, since they are highly customizable and allow you to get creative. Let’s get started! What’s your goal? First things first, let’s think about the goal of the ad page and the magazine you’re making. 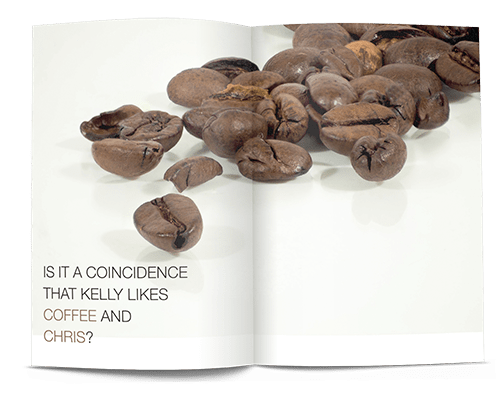 If you’re making an personalised advert for a personal magazine, like a birthday or wedding magazine, a fun idea would be to create an ad page for a favorite food or beverage. The ad can be funny or serious, that’s completely up to you. Are you making a personalised advert for a business magazine? In that case it’s good to think about the goal of your business and why you’re advertising it. Do you want to inform readers, convince them, or simply increase the awareness for your products and services? Thinking about the goal of your ad page will help you create content that accomplishes that goal. Once you’re clear on the goal of the advert, it’s time to think of the message and communicate it as effectively as possible. Always keep the reader in mind. In the example below the message is communicated in an eye-catching way. 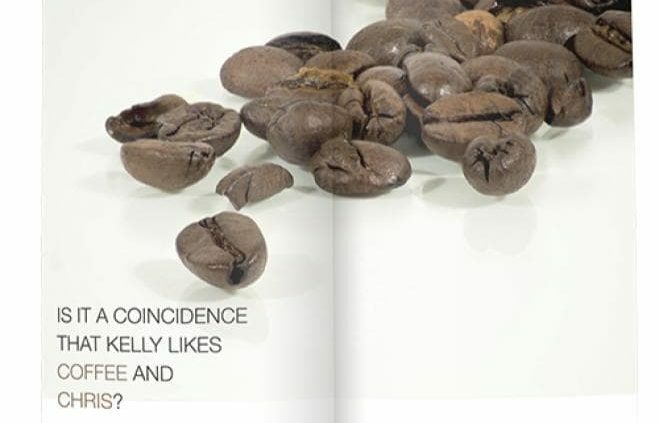 The message is that Kelly likes Coffee. Coincidentally her partner is called Chris. Both start with the letter C, and this message has been communicated on the ad page. The best way to attract readers is by using an image that stands out or using an interesting headline. Choose a bold font, interesting colors and an eye-catching image. In the example below, the color pink was chosen due to the icing on the donut and its association with candy. The color is recurring on the page, appearing in the text cloud and accents on the page. Take a look at the apples below, which apple would you prefer and why? Get started on your own advertising page right away, log in now and get started. Good luck and have fun! We know teachers around the world want to help kids develop their full potential. A great way to do that is by having the students create school magazines on their favorite topics. These are just a few of the reasons why making a magazine is great for education. 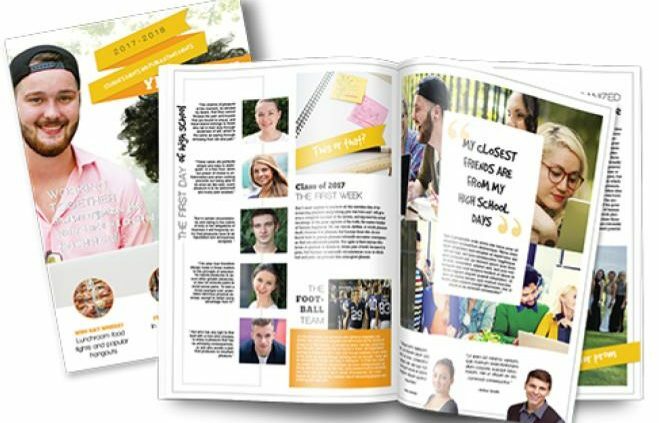 A school magazine allows students to get engaged because it allows them to make their own choices about their activities. It also enables teachers to bring several learning components together, since the school magazine can be a year long project, various subjects can be covered in one project. Different skills can be practiced as well, like word processing and formatting skills. If it’s a class or group project (which is easily done in the online editor, since you can easily invite others to work on your school magazine with you) it also encourages teamwork and a sense of community in the class. The online editor gives students the freedom to express themselves and include as much of themselves as they want. They can add a personal introduction or add some humor and personal interests to their school magazine as well. 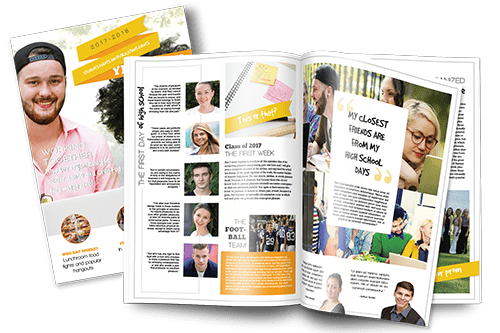 Since this project takes place over time, it allows for reflection, and showcases the growth students go through for each of the subjects and skills included in the magazine. This is great for teachers too. They are able to assess progress throughout the duration of the project. The best part is, at the end of the project the students receive a final product that they made themselves, a real magazine, which gives them a real sense of pride for their work. The school magazine(s) can be ordered as high quality prints or as web (low) quality digital PDF files. So go ahead, try Jilster free, and see if it’s something you’d like to use to help your students develop their full potential. Here’s a great resource on how to teach writing by making a magazine: The Magazine Project: Making the Writing Process Real. Whether you’re looking for images that are the right size, icons, or images with transparent backgrounds, these tips are sure to help you find what you’re looking for. When you search for an image on google, there are a few options you can use that will help you find the image you want. Clicking on ‘Search tools’ will allow you to select what ‘Size’, ‘Color’ and ‘Type’ of image you want. You can even filter by ‘Usage rights’, which will help you make sure you’re allowed to use the images in your magazine. For your own magazine, we recommend filtering by ‘Labeled for noncommercial reuse’. However, if you’re using your magazine for any commercial reasons (your business, a catalog, a portfolio etc.) you should use another option. By adding ‘png’ to your search term, for example ‘sun png’, you’ll find mostly images with a transparent background. These images are great to use in your magazine since you won’t be limited by the white background most images have. Iconfinder is a great resource for, as the name suggests, icons. Many icons require a fee, but you can also search by ‘free’ icons only. You can even search by style. ‘Outline’, ‘Handdrawn’, and ‘Cartoon’ are great styles to use in a magazine. Remember to check license information before using downloaded icons. There are plenty of reasons to create a magazine for education; a yearbook, science fair project or for student projects in class! So you want to make a magazine for a school project. You were assigned a magazine project at school or you’ve decided to make one for a project yourself. That’s great! We’ll help you get started. Making a magazine for a school project can be a lot of fun. Instead of just writing pages upon pages of text, a magazine gives you the opportunity to get creative with your school project. You can create magazine-style layouts, text columns, use different fonts and add images and illustrations, among other things. The question is, how do you actually make a magazine for your school project? 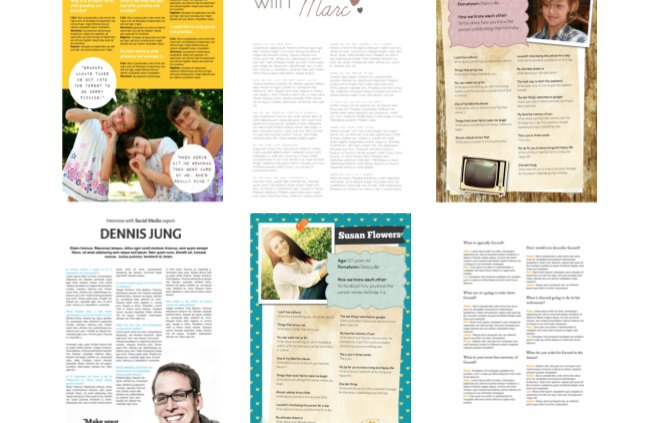 You could get started in Word, but getting the layout to look like a magazine can be difficult. You could also use Photoshop or Illustrator to make a magazine, but unless you already know how to use those tools, it can take time to learn how to use them to make a magazine for your school project. Then there’s the matter of finding a printer that can turn your digital magazine into an actual printed magazine. How are you going to make a magazine for your school project? That’s where Jilster comes in. 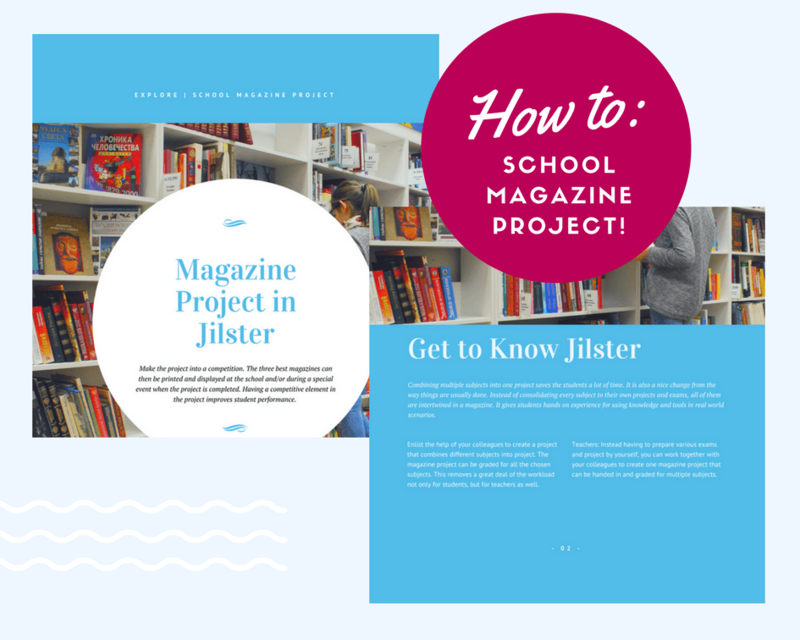 Jilster is a free online magazine editor that anyone can use to make a magazine. You can even invite your classmates to the magazine and have them create their own pages. There’s a shoutbox too, where you can leave messages for other people working on the magazine. Simply make an account and get started on your magazine. There’s no need to download any software, so you can get started right away. The online editor has all the tools you need to create an actual magazine, and it’s very easy to use. Even if you’re working with international students, Jilster has got you covered. The editor is available in 3 languages; English, Dutch and German. So even if you don’t speak the same language, you can work together on the same magazine. Once your magazine is complete, you can create an online promotional page and share it on social media (for free). The school magazine(s) can be ordered as high quality prints or as web (low) quality digital PDF files. There are many ways you can implement Jilster to be used for educational purposes. Create a free account and get started! It’s the most important page of a magazine: the cover! We have some tips to help you make your magazine cover look like the magazines in stores. These tips are great for any kind of magazine cover, including a birthday magazine, wedding magazine or school magazine. The image below is a good comparison between a good magazine cover and a bad one. 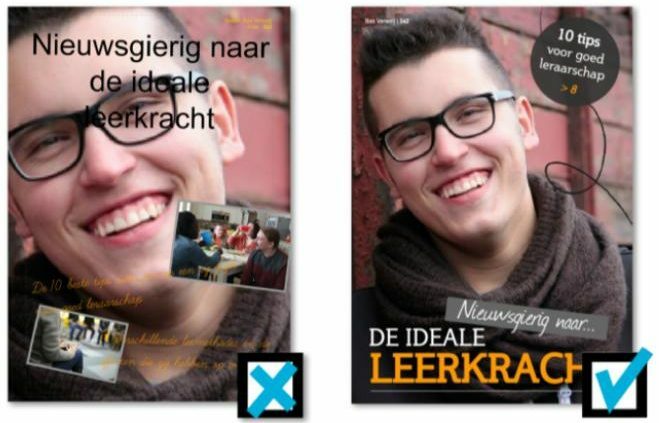 The text is in Dutch, but even so it’s obvious which one is the better example. Every magazine has a name. A powerful title that says something about the contents of the magazine. To make the title stand out, use a font with body. A bold font has a better effect than a thin, elegant font. Does your magazine title have more than one word? Then consider experimenting with multiple fonts. This can give your title something extra. If you’re tied to a title that isn’t as interesting as you’d like, you can still use different font types and sizes to create a good looking title. A good magazine cover consists of 70% visuals and 30% text. So it’s important that the photo or illustration you choose can be displayed at full size so it will stand out, a so-called ‘eye-catcher’. Avoid an image with a busy background, a photo with too many people or confusing visuals. A teaser on your cover gives the reader a glimpse into the content of the magazine and makes them curious about your magazine. Add a few teasers on the cover about different subjects. This way there will always be a teaser that interests your readers. Make these teaser texts short but sweet! Use different font sizes, keep it to a minimum of 2 and a maximum of 4 different sizes. Combine capital letters with normal sized letters for variety and add a bit of color. When you’re done, make sure to check that the text is still legible in combination with the background of the image. Make sure there is enough contrast between the background and the text. Tip 5: Look at other magazine covers in stores for inspiration! Professionally made covers can teach you everything you need to know about magazine covers. Look at the layout, typography and use of color. If you’re working on a magazine you may want to be able to edit the photos and images you upload into your magazine. 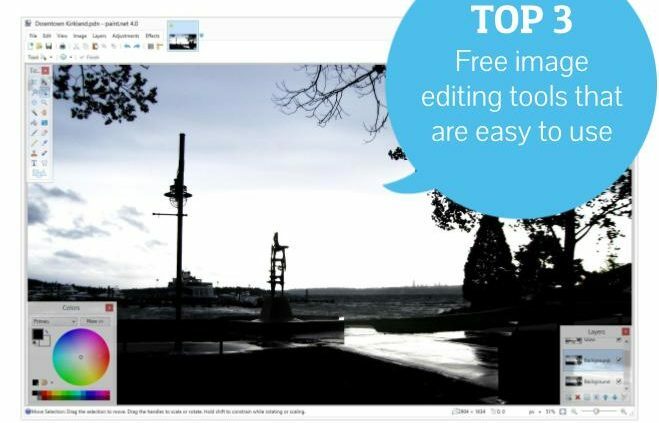 Here are 3 free image editing tools that are easy to use. Pxlr editor works inside your browser, so you don’t need to download anything onto your computer. Simply go to your website and get started. This tool is great for color correction and allows you to use layers easily. 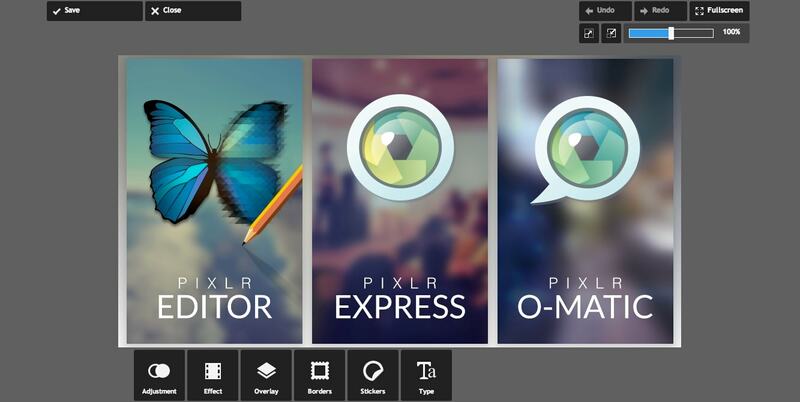 Bonus – Pixlr express allows you to add various filters to your images. Just like Pxlr, this tool can be used right inside your browser, no downloading needed. 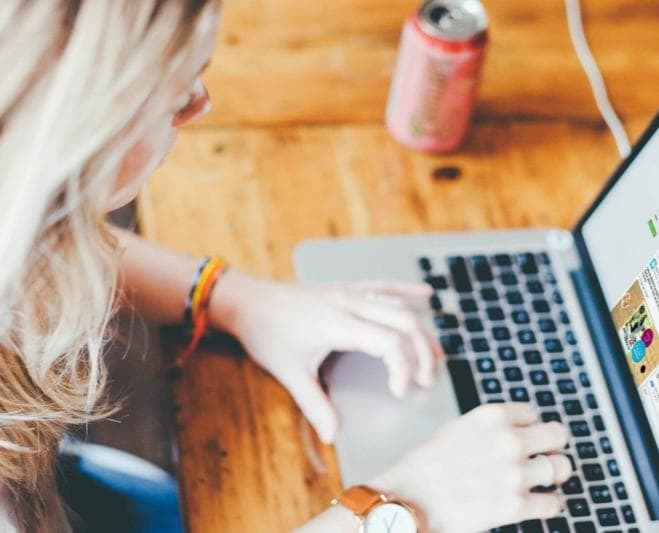 All you need is an internet connection to get started. 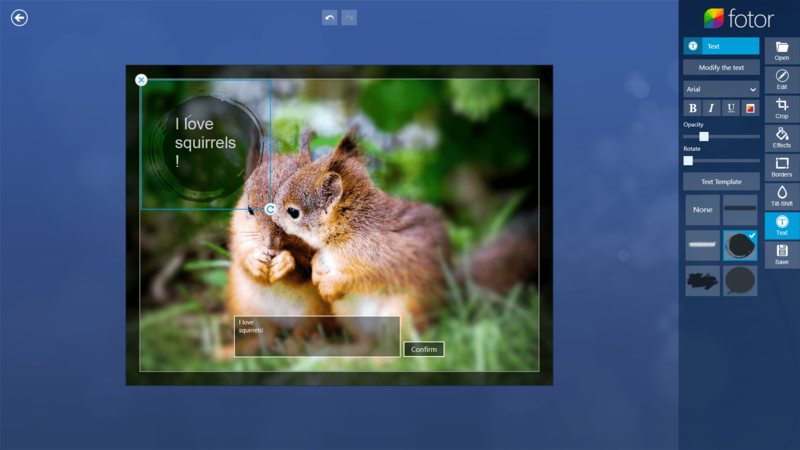 This tools is especially useful for cropping photos. You can also add text and tiles easily with this tool, but you can do that in Jilster too. Simply move the elements on your page around until you get a magazine layout you like. This tool is not available in your browser. In order to use it, you have to download it onto your computer first. However, after you’ve downloaded it, it’s incredibly easy to use. 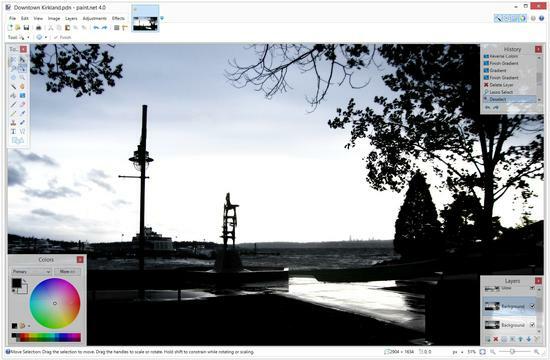 Paint.net is a great basic photo editing tool that allows you to use layers and filters. There’s even an option to add more plug-ins if you want. Edit your images and upload them to create a magazine with your own design. Start editing your photos and creating your own magazine.